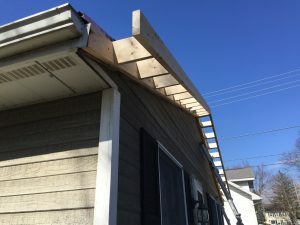 UPDATED FUNCTIONALITY! 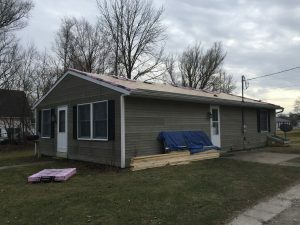 This small home in Hicksville was in dire need of a roof. While that job was being completed, I decided to build out the overhangs on the gable ends. This accomplishes two things. 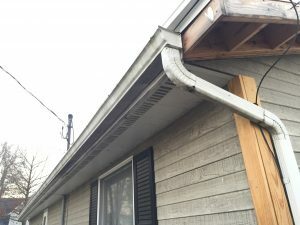 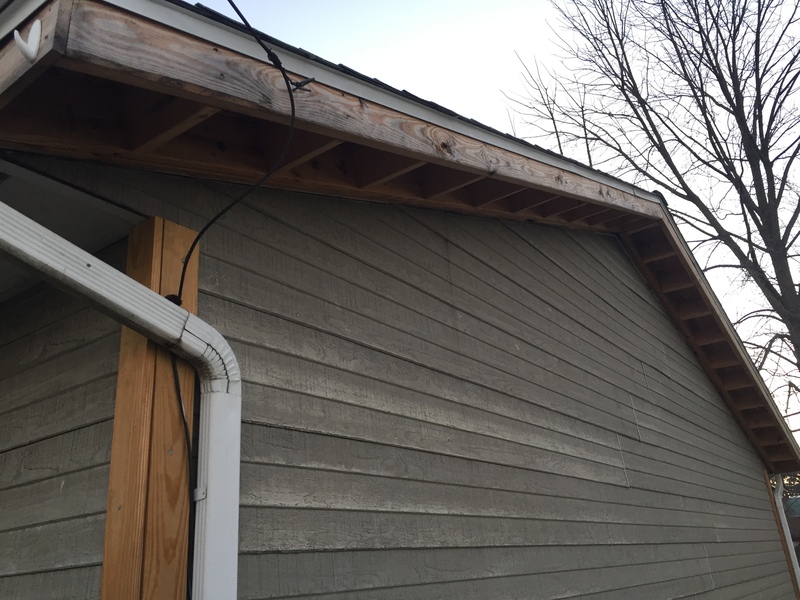 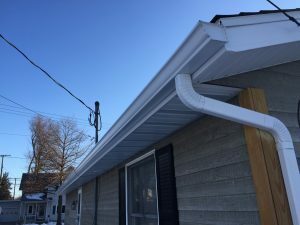 One, the extra 12″ overhang will help rainwater shed off without seeping in behind the siding. Two, it helps with curb appeal by making this home look complete and less like a modular home. 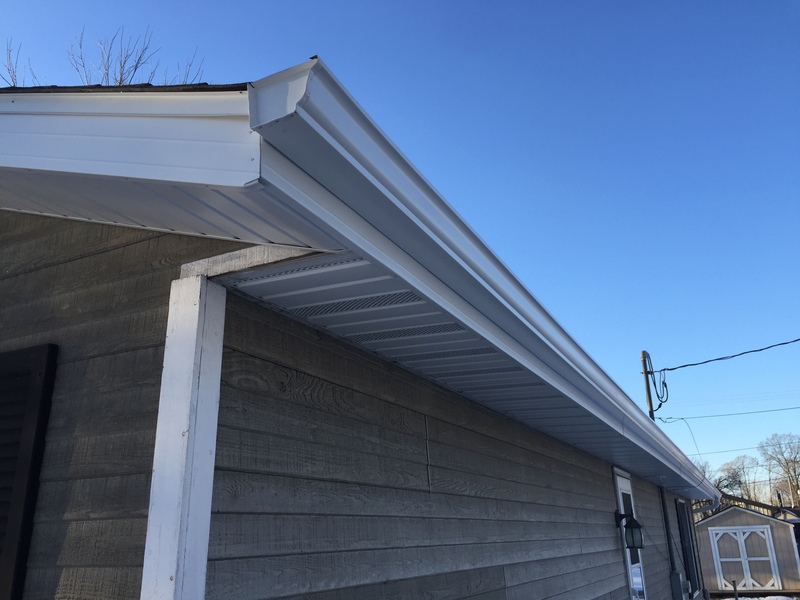 Once the overhangs were built out, all new white aluminum soffit, fascia, and gutters were installed. 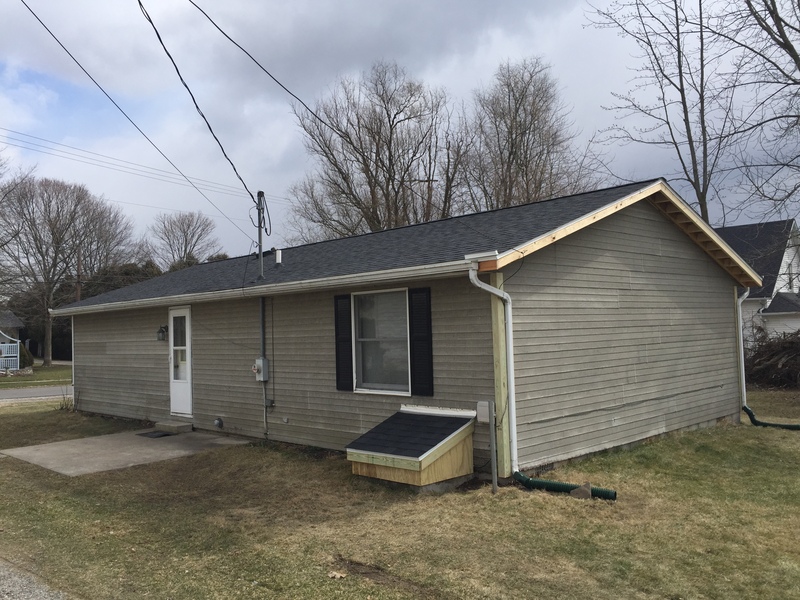 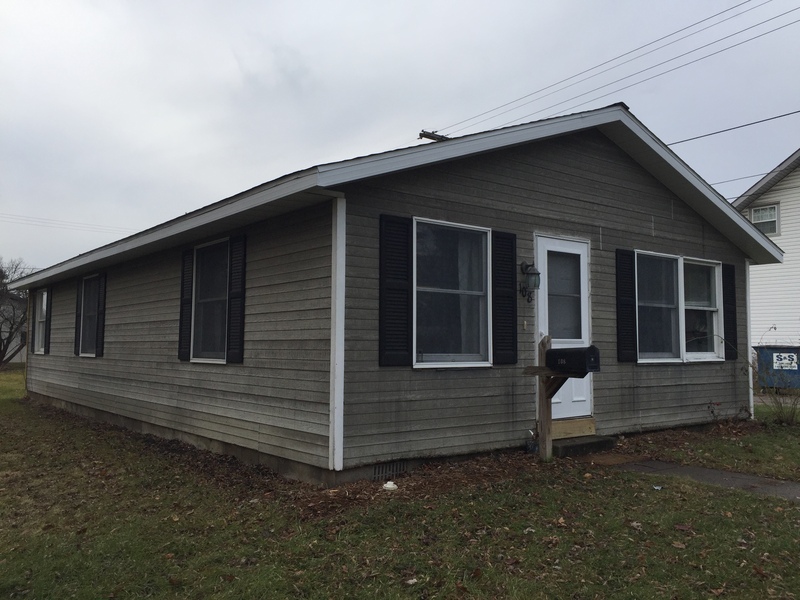 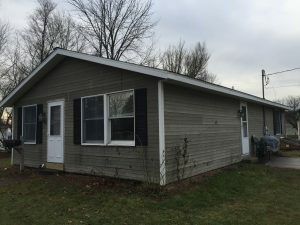 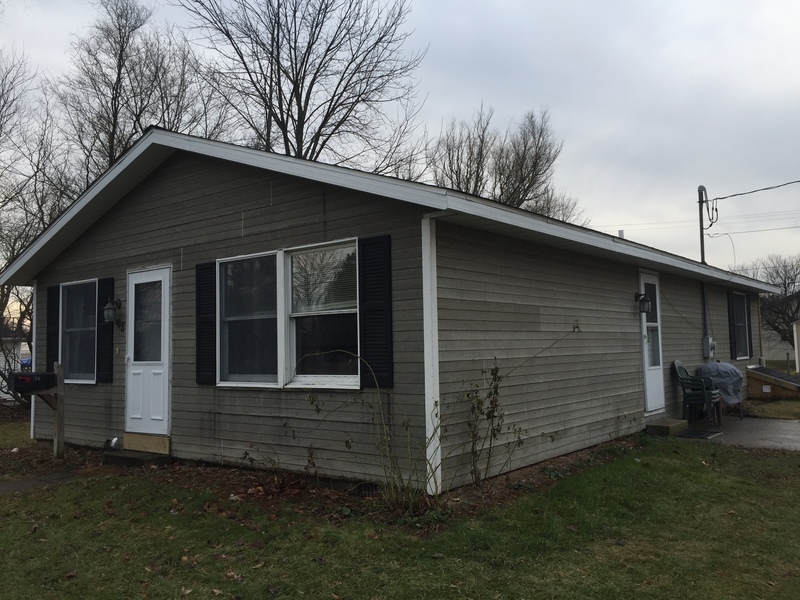 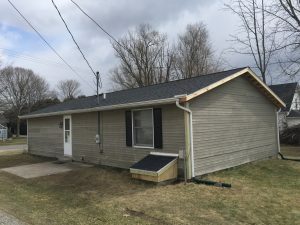 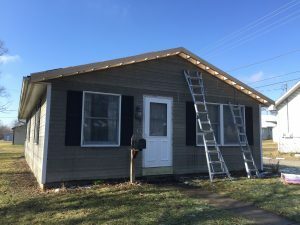 This cozy little home looks sharp, and it’s all ready for new vinyl siding in a year or two! 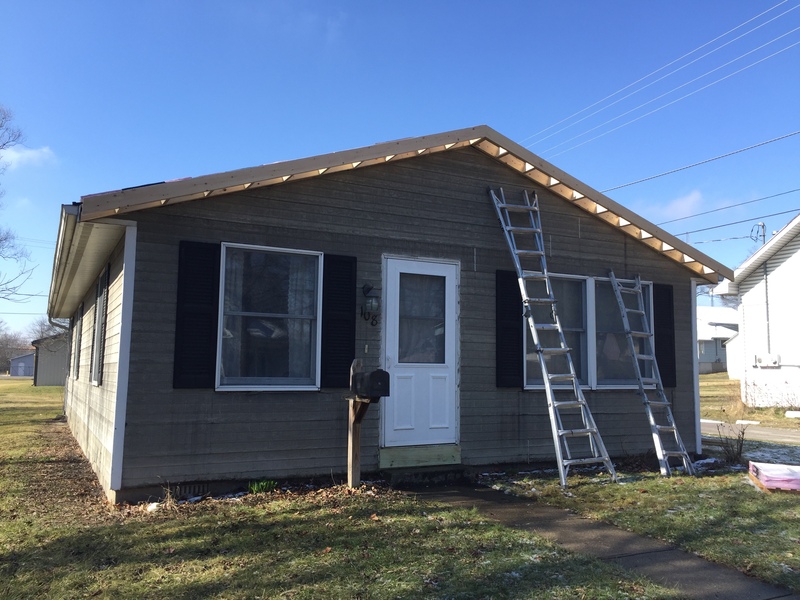 Call for your FREE estimate: 419-212-3200.